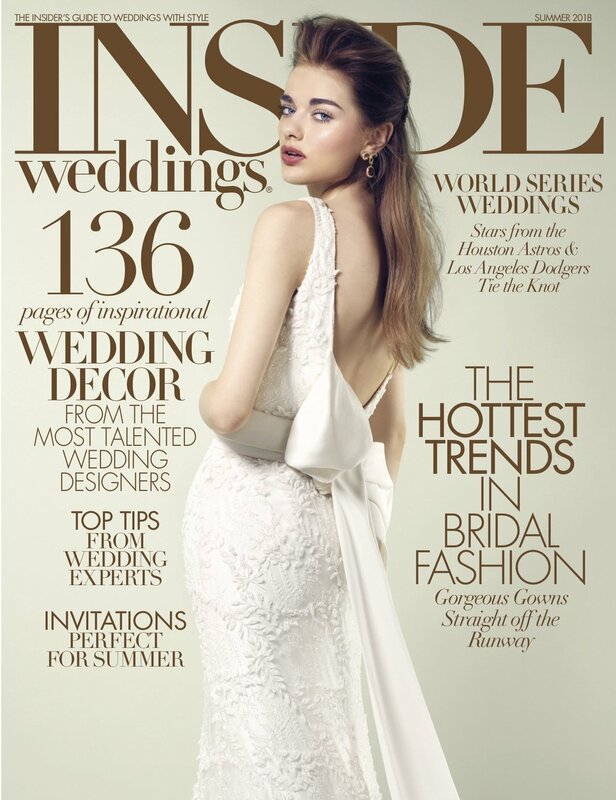 I am so thrilled to share my article in the Summer issue of Inside Weddings. When asked by one of the most sought after national wedding magazine for all things weddings to share some expert advice, the answer is a resounding YES!! 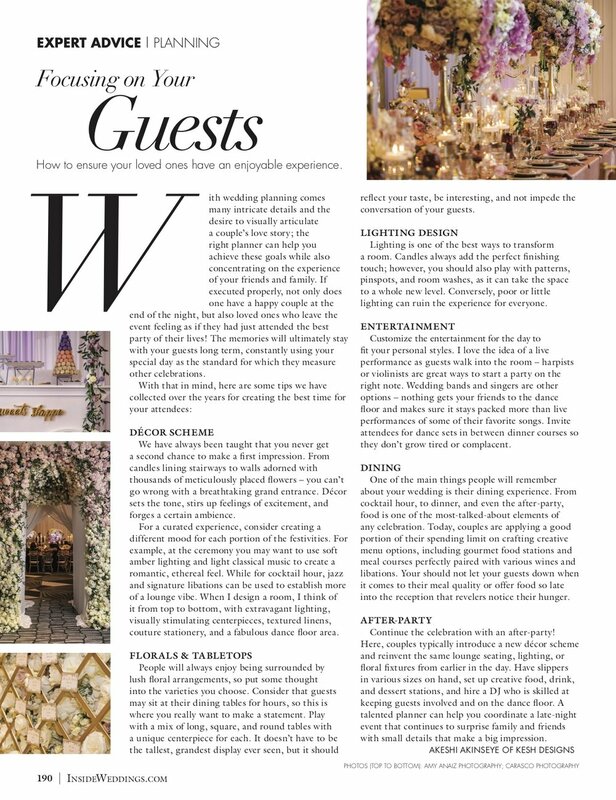 In my article, I share ways to make sure your guests have an outstanding experience at your wedding. I shared some tips I have collected over the years for creating the best time for your attendees from decor scheme to florals, lighting, entertainment, dinning to afterparty. Please grab your copy and get the scoop. On new stands now.